This food I think is the best food I still can give to my fishes. 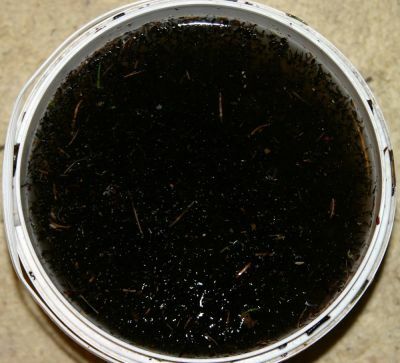 It is more than 40 years since I start catching black mosquito larvae in the nature. So every spring early in April I feel in my body it is time to go out in the nature looking for this type of lavae. Feel the smelling and air of the spring in the birth sunshine gives me very much when I looking for larvaes in melting pounds in terrain close to where I living. 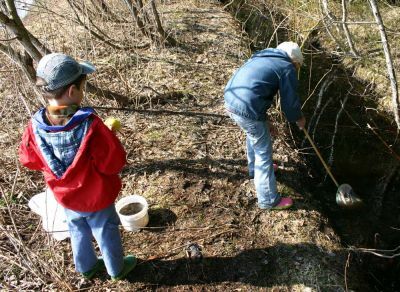 Often the children is also comming with on this tours and it is good for then to see and learn about the nature. Often we got very much larvae’s and this bucket gives food for 12 adult wild Discus for 2 - 3 days. 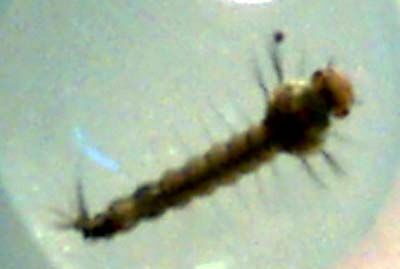 Close up picture of the black mosquito larvae. Today, there have been 35157 visitors (90833 hits) on this page!